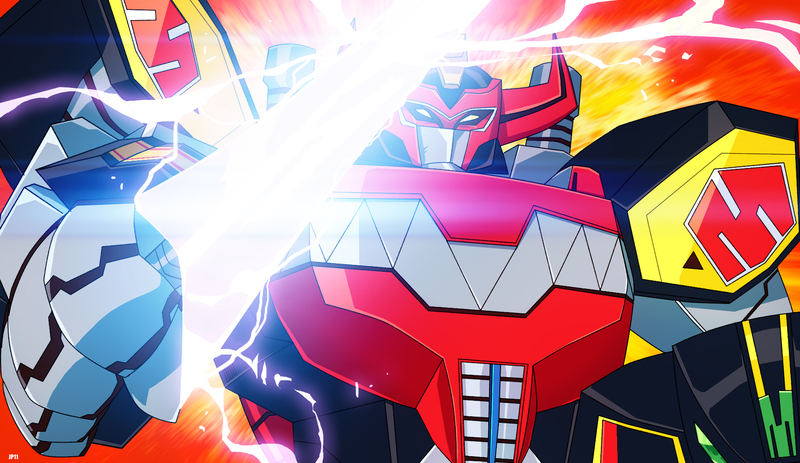 While looking for images of the Mighty Morphin’ Power Rangers Megazord (née Daizyujin), I came across this very cool art that was just too awesome not to share. Click for a much larger version. What's funny is that you'll find Power Ranger fans who think this looks cool, but the Retrofire Dino Megazord looks like crap.